I don’t watch football and Bud Light isn’t my preferred choice but this makes me want to enjoy both. 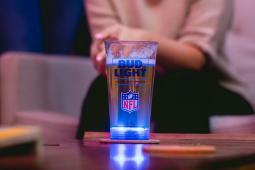 Starting on September 7, Bud Light is giving out beer glasses that light up after touchdowns at NFL games. Pretty cool, right? Apparently the base of the glasses are designed to light up in the color blue after every patriots scoring play. The lights on the glasses are controlled using in-stadium radio frequency technology. Sounds fancy! Currently, the glass is for sale online featuring the Patriots and a few other teams. Anyone who orders the glass can connect it to a special mobile app that causes the glass to light up when that team scores. Why It’s Hot: In order for their messaging to breakthrough from traditional ads at sporting events, this idea presents fans with a unique experience. I also find it smart that Bud Light is testing this concept with a few NFL teams, and will expand upon demand. Cyrano is a “digital smell speaker” and the latest endeavor from Harvard professor and serial inventor, David Edwards—known for such madcap creations as smokable chocolate, edible food packaging, and inhalable alcohol. Cyrano is a compact, portable device that emits 12 different scents that users can mix and match to create a “playlist” they can control via an app. The scents are divided into smells that are energizing, relaxing, and escapist. Selecting “Get Away,” for example, will give you a tropical melody of Bellini, guava, coconut, and suntan lotion; meanwhile, “Get Energized” will wake you up with scents like peppermint and orange ginger. At a conference, Edwards used data to explain how Cyrano can improve our lifestyles and well beings: “There’s a lot of data around wellness and driving,” he says, citing statistics that about 14% of driving Americans fall asleep in the car a day. “The car is also the perfect-sized space for containing a scent so that it doesn’t dilute or mix with other smells.” Cyrano is designed to fit snugly inside a car cup holder and can play “scent melodies” to keep you energized or emit odors that calm you down. The playlist is timed to shift scents every eight minutes in order to avoid olfactory fatigue—the point at which you become so used to the smell that you stop noticing it. Perhaps the most interesting potential application for Cyrano is medical—and Edwards is already exploring it with the help of Richard Doty, director of the University of Pennsylvania’s Smell and Taste Center. Doty’s research focuses on how scent detection correlates with disease—loss of scent is seen as an early detector for Alzheimer’s and Parkinson’s, for example—and sees the app as a way to administer scent tests digitally. Eventually, Edwards says, they could adapt scent tests to broad public use, so that individuals could check their health in the morning with their own custom scent track. According to Doty, “humans actually have a very advanced sense of smell, we just don’t exercise it as much as other animals”. For now, Cyrano is being released in a limited run of 500 devices—available here for $149—with a full product release later this year. In a modern world where natural scents are lost in the madness of industrial odors, stimulating our senses to improve our health and wellness is like going back to our origins. It is now believed the Connected Car Will Surpass All Other IoT Initiatives (and provide Four Key Opportunities for Advertisers). In-Car Advertising will soon ascend to match TV and Mobile in time spent and provide marketers with a new trove of useful data points. We’re hearing more and more about connected cars these days. They will be among the first internet of thing activations to achieve true scale. Cars will be talking to other cars before most other types of IoT applications have meaningful impact on our lives. This connected “network” will ultimately be very powerful — possibly saving lives while also providing better traffic information and ultimately better driver experiences. But what does this all mean to marketers? And how can they plan for this eventuality and take advantage of it? The connected car will present marketers with far-ranging opportunities. In the most obvious case, in-car advertising, now limited to radio and small-scale infotainment activations, will ascend to a medium on par with TV and mobile in terms of consumer’s time spent. 1. Audio. Radio owns the car today, but with its one-way broadcast structure it will be supplanted over time. The first steps are being taken by Pandora now, as it begins developing a programmatic targeting network for in-car ads. Over time, as more and varied applications migrate to the car dashboard, this exchange will grow more robust, with more ad impressions becoming available and migrating into an “auto exchange” for buyers to act against, based upon all of the typical targeting data, in addition to location data and other information. 2. Video. Visual ads are likely to be first inserted in the actual driving experience as drivers are given less and less to do in maneuvering their vehicle — and have more time to engage elsewhere. In the meantime, video will be a prime inventory format for pre- and post-drive and traffic-snarl periods. They require less-focused concentration, are entertaining and can deploy much more information. For example, consider someone who gets into their car in the morning to drive to work. Starbucks has a new drink offer and may know that person has not been in-store for a couple of days. The video starts as the driver is getting ready to drive and provides an offer — and maybe even a direct “drive-to” for the location the consumer would normally choose (or, even better, press a key to order and have the coffee waiting upon pull-up). Video will be the most engaging way to get the consumer activated, and marketers will assuredly be able to reap the benefit. 3. Custom services marketing.For now, consumers use tools like Evernote to track a to-do list,Google Calendar to track time and Google Now to surface key actions based on email messages. All of that data will soon be converted into a data source for marketers to mine for targeting purposes. For example, a to-do list might include three specific shopping items; a marketer might use that data to deliver a targeted message showing they have all of those items in stock (i.e. at a nearby Walgreens) — and offer two of the items on a weekly special. This approach will be used by partners that can surf large quantities of data for “matches” to a marketer’s parameters, and in turn deliver a truly personalized targeted message. 4. Highly personalized location-based targeting.This is the ad type many small businesses will want to figure out so they can make messages most engaging. If a consumer is at location X and has a history of visiting certain types of restaurants, a local restaurant could target the consumer with an ad — perhaps in the form of a location bookmark or an actual calendar event with a coupon. While it may not drive immediate action, it could bring the consumer in over time. The real-world location data from connected cars represents a new pillar of marketing insight that will help marketers effectively understand consumers. Who owns the data, how it will be protected and how it will be used are still issues to be resolved, but the data itself represents a sea-change in the consumer knowledge that will be available to marketers. The connected car, the first large-scale IoT platform, offers great promise to marketers — and a whole new way to reach consumers — at a time when they were previously reachable only on a very limited basis, such as with out-of-home or radio ads. Smart marketers will want to consider the potential new media consumption implications — and opportunities — for consumers and drive hard to get their messages in front of them accordingly. 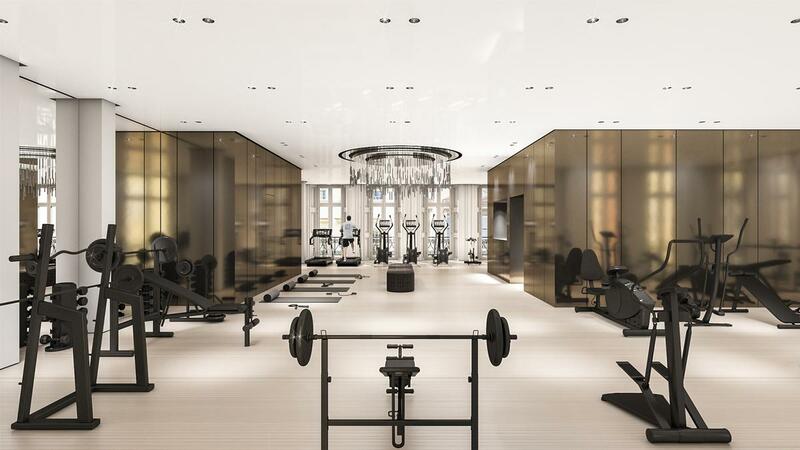 In a rapidly emerging space, first movers will have a serious advantage.